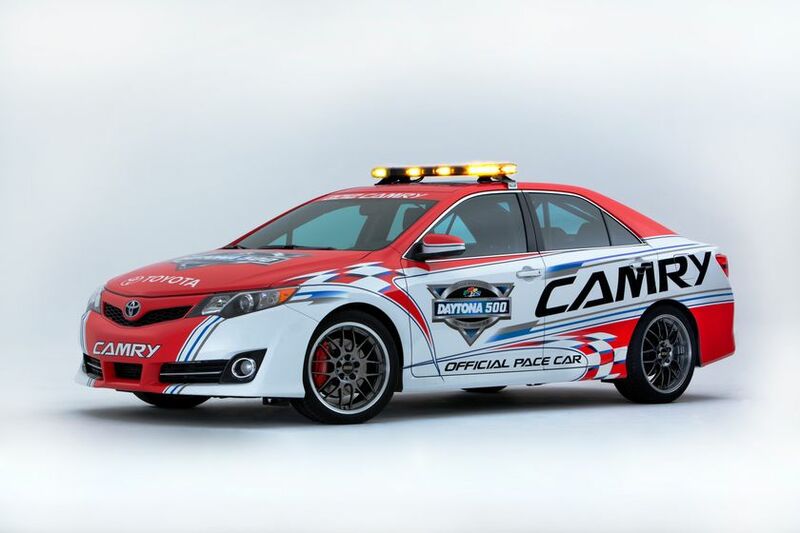 2012 Toyota Camry Daytona 500 Pace Car – The all-new 2012 Camry Pace Car will lead the field for the start of the 54th running of the Daytona 500® February 26. It will be the first time a non-GM, Ford or Chrysler nameplate has paced the “Great American Race®.” The specially-equipped car is based on the all-new 2012 Camry SE, which carries a powerful 268 horsepower V6 under the hood. David Reutimann, Camry Sprint Cup Driver for Michael Waltrip Racing, will attend the press conference. 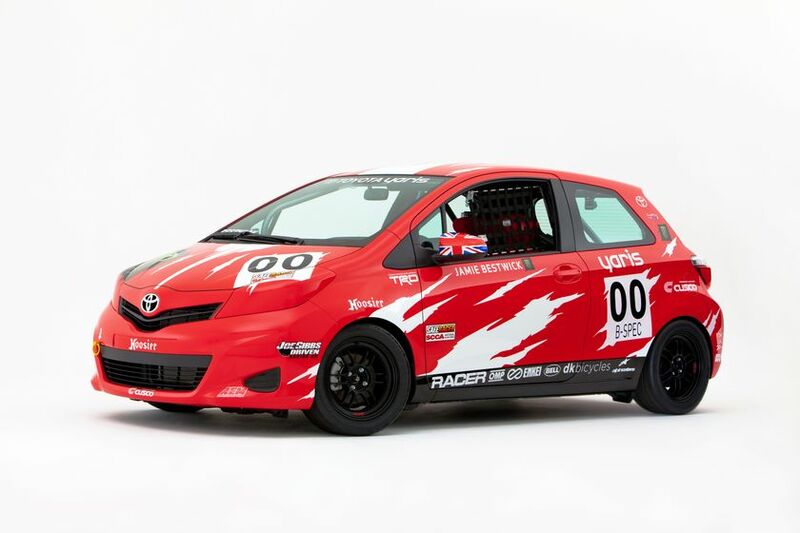 Toyota Yaris B-Spec Club Racer – The first race car built for competition from the next-generation 2012 Yaris SE, this vehicle will compete in the SCCA B-spec class race category in 2012 with Action Sports Star and BMX legend Jamie Bestwick behind the wheel. Built bySportsCar Magazine utilizing an all-new second-generation Yaris SE three-door hatchback, the vehicle demonstrates how the all-new Yaris offers a cost-friendly way for novice racers to gain experience in SCCA wheel-to-wheel racing. Bestwick will be at the press conference. Toyota Ultimate Motocross Truck – Toyota, DC Shoes and West Coast Customs teamed up to create the Ultimate Motocross Truck. 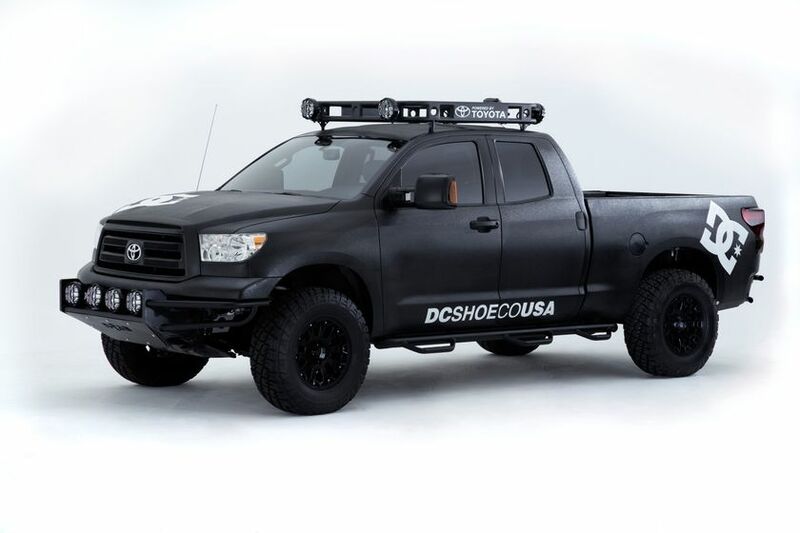 Built on a Toyota Tundra full-size pickup, DC Shoes used valuable feedback from their Motocross athletes and passed it along to West Coast Customs, which performed the build using a Tundra Double Cab 4x4 equipped with the powerful 5.7-litre V8 and six-speed electronically-controlled transmission with intelligence. An array of modifications was included to enable the vehicle to tackle the roughest terrain. Oakley Surf Tacoma – Built using a rugged Toyota Tacoma 4x4 pickup equipped with a V6 engine and TRD supercharger that generates 304 horsepower, the Oakley Surf Tacoma was customized by Smithbuilt to be a Surfing Big Wave Assault Machine. Performance modifications include a Flowmaster stainless steel exhaust, new leaf springs for added height, and a new front coilover system. Australian surfing pro Tom Whitaker will be at the press conference. Toyota Tacoma TRD T/X Baja Series Limited Edition Pickup – This pre-production Tacoma Toyota Racing Development (TRD) T|X (Tacoma Extreme) limited edition pickup truck reveals bold graphics with its concept name “Baja Series.” The truck elevates the capability of Tacoma’s TRD Off-Road pickup, building on Toyota’s rich Baja racing truck heritage that dates back nearly three decades and includes numerous titles at the legendary Baja 500 and 1000. 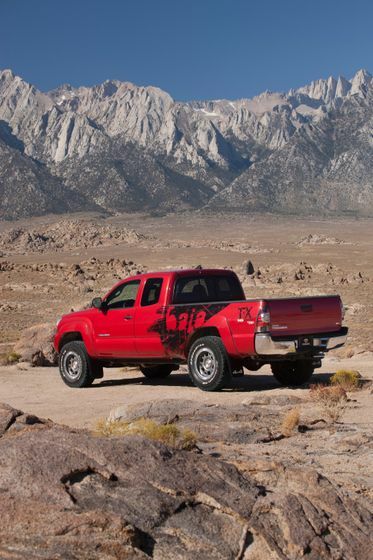 Toyota’s desert racing program has inspired the development of numerous TRD off-road focused products and packages over the years including the Tacoma PreRunner package which is currently only available in the U.S., and the TRD Off-Road packages for both Tacoma and Tundra. Long Beach Racers Tacoma – Inspired by the upcoming limited edition 2012 Tacoma TRD T|X TRD Baja Series coming next year, the Long Beach Racers Tacoma will be competing in the 2011 Tecate SCORE Baja 1000, with former freestyle motocross rider racer Andy Bell behind the wheel. 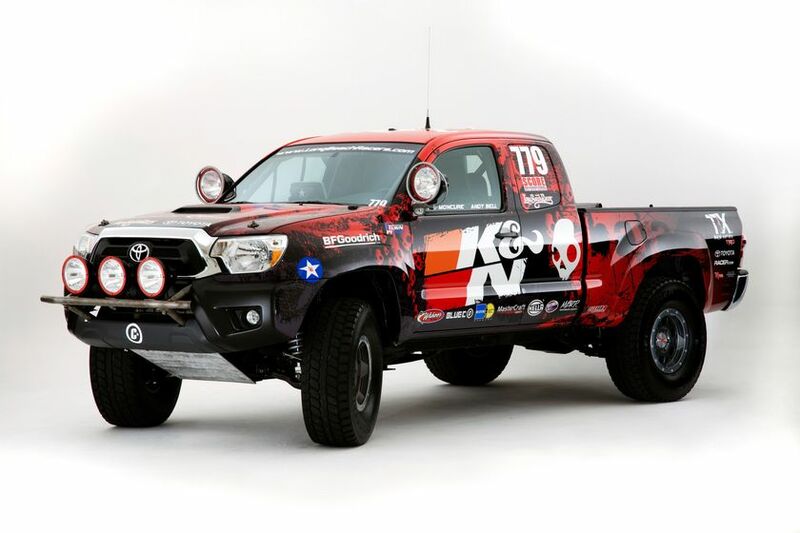 As a grassroots effort of Long Beach Racers, a group of Toyota enthusiasts who specialize in racing Toyota trucks in Baja, the truck is currently in contention for the SCORE Stock Mini class championship. Bell will be at the press conference.